The website you are consulting is a general information website on the Karp & Choucroun website, located at 34B, rue Philippe II, 2340 Luxembourg (Grand Duchy of Luxembourg). The whole website is made in accordance with the Luxembourg and international legislation in regards to copyright and intellectual property. Creation and maintenance done by KUMKUAT S.A. 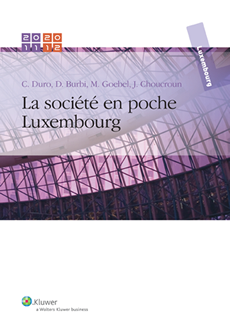 This work considers four essential domains in the existence of companies under Luxembourg law: corporate law, accounting law, fiscal law, and labor law. It not only includes detailed comments but also many tables and references to legislation and jurisprudence.